Many people have the idea of a basement as a dark, damp, mildewed, musty smelling place under the house where the water heater, furnace and creepy crawlers live. In the past, they were often called cellars, and were most useful to store food that needed to be protected from the extreme hot or cold weather. 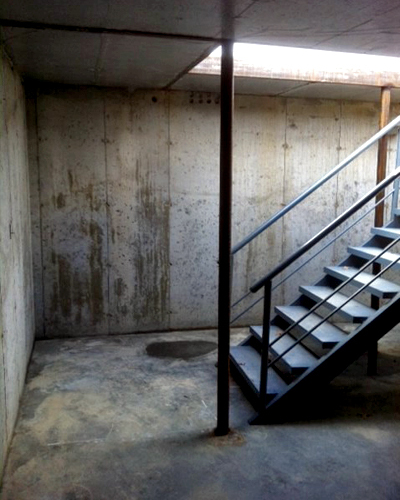 A basement is cheaper to heat and cool than an upper level of the same size. We often receive calls from customers that have moved here from north of the Arkansas/Missouri state line. They are surprised that they cannot find a house with a basement. Some realtors or homebuilders have told them that basements cannot be built in Arkansas because the water table is too high, and it’s too rocky to dig a hole. In the River Valley all of the water drains to the Arkansas River and we build basements within a stones throw of it. We have also built them on mountainsides within 1O feet of the edge of a rock bluff. However, many people do not know why there are more basements in the northern United States than in the southern part of the U.S. It is because the frost line is so much deeper there. The purpose of the foundation of any structure is to support the weight of the building and its contents. 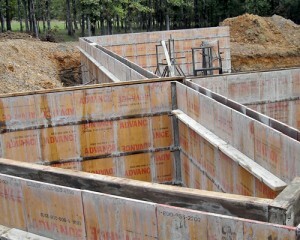 This foundation must rest on stable earthen material that is deep enough not to freeze in the winter. Yes, the ground does freeze, just like everything else that contains moisture! When it does freeze, it will expand and when it thaws, it will contract. Therefore, the foundation must be seated deep enough to avoid this condition. A foundation that moves up and down would soon crumble and fail. In the north, this frost line may be 4 to 5 foot deep but in Arkansas it is only 16 inches. So, if you are in Iowa, and are building a house, you already have to dig 4 foot deep. The smart thing to do is to put in a basement and gain usable space for the money that you are going to spend on the foundation. Soil conditions can cause similar problems, that if not taken into consideration can be almost as damaging to a foundation. In this part of Arkansas and Oklahoma, much of the soil, below topsoil level, is a reddish/brown clay material. This type of soil is expansive, meaning that when it gets wet, it expands and when it dries out, it shrinks. An example of this would be a mud puddle that has been dried up by the sun; it has nothing left but cracks. Red clay soil does the exact same thing; it cracks and shrinks as it dries. If the footing of your house rests in the top of 2-foot soil, then in wet weather it has the potential to move upward and in dry weather the opposite will occur. Cracks in the brick on a house often appear after an extremely hot and dry period of weather. The brick cracks are due to one area of the foundation sitting on soil that has died out while an adjacent area, perhaps where the flowers had been watered daily, may have swelled due to excess moisture. Thus, one section of footing experiences a slight upward movement while the other has a potential to move downward as the underlying soil shrinks away from its bearing surface. This problem can be greatly reduced by utilizing a basement so that the footing rests from 4 to 6 feet below the surface, where moisture content is much more stable. The ideal reason for a basement is for hillside locations. These building sites are the perfect place for a walkout basement. 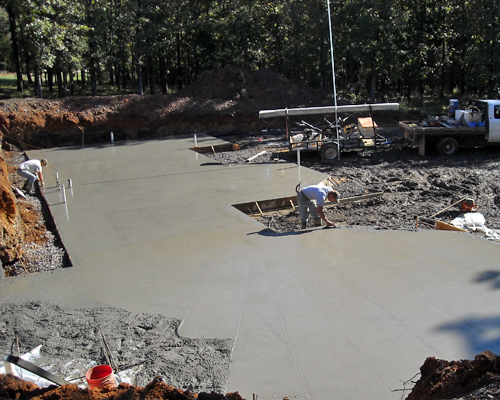 Sloped land requires building up the lower side to achieve a level floor. One way or another, this must be done to build a house. The money spent on the basement is converted to usable space, instead of with a high foundation into only a way to achieve a level surface to build the floor on. If you can put the garage underneath the house, in the basement, then you can save even more money. As prime building land becomes increasingly rare, McCain is making use of sloping land and other sites that require deep foundations. 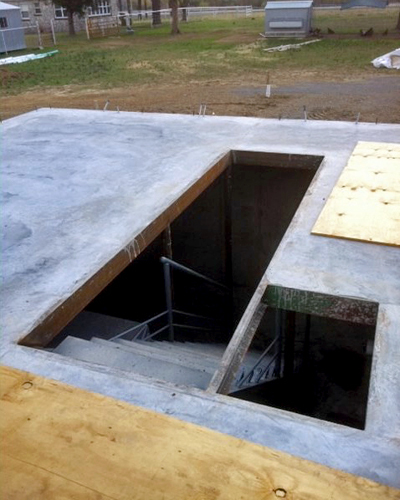 The marginal cost of including a basement is greatly reduced as it effectively provides the building with the deep foundations that it needs. Including a basement will almost certainly increase the value of a property depending on the use of the basement, the quality of finish, and local property prices.